Here we find growth, but that needs to be steadied. Q4 net up both sequentially and YoY, but the sequentially alternating dips and recoveries need to be convincingly eliminated. South Indian Bank: What Went Wrong? Something went seriously wrong here. All that new costly image-building exercises and now the worst performing quarter in 2½ years. With a sequential drop of 38.20% and a YoY drop of 23%, nobody except the management knows what went wrong here. The market has already started on a severe correction on the scrip, which is expected to gather momentum unless a comprehensive explanation is delivered. Bank of Maharashtra: Back to Health? The YoY jump in net profit is insignificant at 1%, but this quarter marks a back-to-healthy step, as it further reinforces the turnaround that started in the December 09 quarter, after two consecutive quarters of poor performance. Still, a long way to go. IFCI: A Breakout, But Will it Ever Reach Old Glory? At first looks, the quarterly growth – both sequential and YoY - is impressive here, but the important question is whether net profit’s breakout from the 100s to the 200s will also prove to be a breakout from the last six quarters’ seesawing of dips and recoveries, to head on to pre-2008 glory when net played in the 600s. Repeats a predictable and steady performance. No big upmoves here, but all the moves – both sequential & YoY – are northwards. Andhra Bank: A Reversal in Fortune? Seems to be encountering a reversal in fortune. Q4 net jumps YoY, but the deceleration in the previous quarters seems to be turning into a reversal, with this time's sequential dip. Here it is a shocking dip this time. Q4 net dips drastically, both sequentially and YoY, after three quarters of blistering performance. Previous Quarters Save the Show here. Despite fourth quarter dipping drastically here – both sequentially as well as YoY – the overall picture is not so bleak, thanks to the good to moderate results of the first three quarters. Still, the quarterly seesawing of dips and recoveries should stop. Indian Overseas Bank: Finally, Turning Around? After four quarters of alarming performance, a tiny hint of a turnaround here. The YoY jump is due to the low base, but sequentially this is going northwards. Overall, a convincing performance. United Bank of India: IPO Affects Results? The performance seems to be distracted by the IPO. After a robust IPO, this kind of results – a 65% YoY plunge - is unpardonable. It seems that while the bank was immersed in the IPO business, dangers like higher provisioning and lower treasury crept in. Seriously needs to get it act together, before the market corrects the scrip with a possible over-reaction. Yes Bank: Can This Move Into the Big League? The efforts to move into the big league is evident. Q4 further proves that the growth march in net profit still goes ahead undeterred, both sequentially and YoY. ING Vysya Bank: Will the Breakout Sustain? Here, there is a chance for a breakout from the usual pattern. The YoY jump of Q4 is impressive, but the more important question is whether the breakout seen from the last five quarters’ seesawing of dips and recoveries will gain strength. It should, hopefully, taking into account the higher highs seen sequentially. Growing, but the need for a shift to overdrive is evident. After years of lull, growth is here both YoY and sequentially, but it is the predictable, unexciting kind of growth, with the risk of another slowdown. Q4 net has surged by 269%, but that can be explained away on the low base. What is surprising is the steady sequential growth exhibited throughout FY’ 2010, which has now culminated in an almost historical high – at least since 2002 – quarterly performance, in absolute numbers. Indian Bank: Growing, But Growth Slowing? Growing still, but the growth seems to be slowing down. A healthy performance, but YoY has barely grown, while sequential net profit drops after two straight quarters of growth. Here, it is a definite comeback, but there are still miles to go. Sequential results jump, but that jump is not enough to move much above the corresponding Q4. Continues to be both steady and slow. The YoY jump is impressive here, and that is not just by the low base, but still the sequential pace still has much room for improvement. Otherwise, a reversal in fortune can happen in the coming quarters. Here the quarterly moves continue to be unpredictable. Q4 dips drastically both YoY and sequential, and is almost the worst performance in two years. Bank of Baroda: Making Up for Lost Time? Q4 net jumps YoY, further reversing the downtrend in the first and second quarters. More than makes up for the lost time. Axis Bank: Moving Into Its True League? Finally, indications of moving into its true league are visible here. The convincing Q4 numbers, both sequentially and YoY, point to catching up with ICICI Bank & HDFC Bank, and there are no signs of fatigue here. The March quarter is again proving to be problematic here. Despite Q4 profits jumping almost three-fold YoY, nobody here is claiming victory, as it is almost solely due to the low base. The quarter ending March has again come to haunt here, with a serious sequential dip from the excellent performance of the last two consecutive quarters. HDFC Bank: Impressive, But Expect Lesser? Is it time to expect lesser here? The YoY jump is impressive as it is not on a much low base, but the sequential jumps are getting smaller. Still, can’t complain. But with parent HDFC Ltd as well as offspring HDFC Bank having majority foreign ownership – with a whopping 73% foreign ownership in HDFC Bank, and it existing as ‘Indian’ only on a proposed RBI exemption, it needs to move carefully during these times when financial markets worldwide are holding their breath on Greece, Spain & Euro. ICICI Bank: Back in Reckoning? Seems to be back in the reckoning. YoY jump is on low base, but the steady sequential growth hints at again being the heavyweight it once was. No wonder even RBI is encouraging with more time for attaining 70% PCR. But with 67% foreign ownership, and the bank existing as ‘Indian’ only on a proposed RBI exemption, it needs to tread carefully during these times when capital markets worldwide are holding their breath on Goldman Sachs. When the fourth quarter results from private and state-promoted banks of India started pouring in, everything seemed to look up. But on a closer analysis and with more results coming in, the overall picture is not so rosy. It is a mix of under performance, reasonable performance, and rare instances of over performance. While some underperformers hid behind improvement in core numbers like Net Interest Income (NII) or total revenue, some others had to present an overall bleak picture. The overall theme running around this time is that only a few banks were able to survive the double-whammy of lower treasury returns and higher provision coverage ratio (PCR). But for investors in the Indian stock markets, who are looking upon the country’s banking sector as perhaps the highest-rated long-term value play, the results came as not much encouraging. Again, it is a case fit for bank-by-bank analysis. Here is the actual picture of the first 24 publicly-listed Indian banks whose results are out. Coverage includes ICICI Bank, HDFC Bank, Central Bank Of India, Axis Bank, Bank Of Baroda, Canara Bank, Corporation Bank, IDBI Bank, Indian Bank, UCO Bank, IndusInd Bank, ING Vysya Bank, Yes Bank, United Bank Of India, Oriental Bank Of Commerce, Indian Overseas Bank, Syndicate Bank, Allahabad Bank, Andhra Bank, Dena Bank, IFCI, Bank Of Maharashtra, Vijaya Bank, and South Indian Bank. Finally, indications of Moving Into its True League are visible here. The convincing Q4 numbers, both sequentially and YoY, point to catching up with ICICI & HDFC, and there are no signs of fatigue here. Here, it is a definite comeback, but there are still miles to go. Sequential results jump, but not enough to jump much above the corresponding Q4. The efforts to move into the big league is evident. Q4 further proves that the profit growth march here goes ahead undeterred, both sequentially and YoY. The performance seemed to be distracted by the IPO. After a robust IPO, this kind of results – a 65% YoY plunge - is unpardonable. It seems that while the bank was immersed in the IPO business, dangers like higher provisioning and lower treasury crept in. Seriously needs to get it act together, before the market corrects the scrip with a possible over-reaction. Seems to be encountering a Reversal in Fortune. Q4 net jumps YoY, but the deceleration of the previous quarters seems to be turning into a reversal, with the sequential dip. Here we find growth, but that needs to be steadied. Q4 net up both sequentially and YoY, but the sequentially alternating dips need to be convincingly eliminated. Results from 15 Indian Banks: What Went Wrong & Right? With the third quarter results pouring in, one thing is sure. The banking industry as a whole has done better than analyst expectations. But at the same time, some heavyweights are expected to fail even their targets. Seasonal Magazine brings an in-depth compilation cover story about the third-quarter results and how the projected performance will be in the fourth quarter and beyond. Theoretically, ICICI Bank did everything perfectly. It shed almost 10,000 crores of high-cost deposits, it didn’t increase its lending mindlessly, it had a lower tax outgo, but still the country’s second-largest lender failed to register profits as treasury slipped. But all the theory is going to help sooner rather than later. While income from treasury and other operations slipped significantly, the second-largest private sector lender could post a 31% rise in net profit owing to better net interest income, and maintenance of NIM and NPA levels. The third-largest private lender’s aggressive stance was not only evident in a 31% rise in net profit on strong margins, but also in its NPA levels that jumped yet again, this time by 49%. The overall good performance of 43% growth in net profit will now pave way for capital augmentation at UCO Bank. It has three ways before it – raising it on its own by way of Tier-1 & 2 bonds, capital infusion by the Government, or a glamorous FPO that can change its fortunes at the bourses. IDBI is still to get its act together it seems. The once-public now-private-sector lender had to rely on investments alone to survive the quarter, even while its NIM and NPA challenges deepen. The public sector lender had a healthy though modest quarter that registered 18.92% growth in net profit, but to further kick-start growth it need to raise around Rs. 4000 crore in capital. Whatever gains it had made in interest income was washed out by a major dip in treasury, and this exposed the chink in armour of this PSB. The bank’s NIM is troubling, even though it is trying to address the issue by shedding high-cost deposits. It seems Indian Bank had braced well for the treasury dip. It survived and posted a 26% rise in net profit, largely relying on expense cuts and a good performance on the interest income front. The STCL account continued to weigh down on Vijaya Bank numbers, even though the net interest income was up by 45%. With the treasury also dipping this time, it accounted for a net profit dip, but the bank continues to get healthier by the day. If not for the higher expenditure, South Indian Bank would have posted a better than 15.23% growth in Q3. But with the profit for the first three quarters already surpassing last annual profit, the bank has some leeway. IndusInd bank is steadily playing catch-up to its bigger peers, by an overall good performance except from treasury operations. But, of course, the 95% jump in net profit was also helped by the low base effect. While the young private sector lender could significantly grow its interest income and income from corporate banking, a huge dip in treasury dip weighed it down. But Yes Bank was smart enough to contain costs tight this time around. Kotak Mahindra’s was the contrarian play of Q3. While most banks were hit by a dip in treasury and boost in interest income, this NBFC turned bank experienced almost stagnant growth in interest income and a surge in treasury. But the bank’s NPAs continue to trouble. This once-traditional private sector bank could increase its income for the third quarter from 124 crore to 156 crore YoY. But this now-new-gen bank almost doubled its expenses from 29.20 crore to 53 crore, thereby melting away whatever profits were possible. The culprit was the expansion program that added expenses by way of new branches, ATMs, and employees. However, the expansion was long-pending and the bourses too had taken kindly to the results. Many Indian villages have over one thousand mobile phones. But no bank accounts. Welcome to the great Indian revolution. Even after the sweeping changes brought about by NREGA – the second version of which made bank accounts mandatory – real financial inclusion remains a dream. Thanks to NREGA, many of India’s poorest of the poor now recognizes the use of a savings account. But that a bank can lend them money to meet their financial goals – even if it is microfinance - is unknown by many. A recent nationwide survey had brought out these shocking facts. Why couldn’t the country’s public sector banks achieve within 60 years, what a handful of private mobile operators could do in 6? The easy answer would be the scope for profits, but given the wafer-thin margins with which these large capex mobile operators function, and the efficiency with which many private micro-financiers have developed their businesses recently, bankers would need to find another excuse. Reserve Bank of India is aware of this challenge, and is now trying to address this in two novel ways, which if fully implemented can change the very landscape of Indian banking, not to mention the achievement of amazing levels of financial inclusion. One of the RBI strategies would seem like a throwback to the pre-nationalization era. Yes, new private banks are again welcome. But they would be back in a different avatar – Local Area Banks. Originally conceived in the 1996 Union Budget, local area banks had got a major push with the findings and recommendations of the Raghuram Rajan Committee. RBI plans to address the safety concerns with small private banks by ensuring a higher Capital Adequacy Ratio (CAR) of above 15% - as against regular banks’ 12% - and tough regulations to prevent related party transactions. If implemented fully, this can be a wave of opportunity for a new generation of financial entrepreneurs, cooperatives, and self-help groups. The distinct advantage RBI sees with the move - other than great accessibility – is the creation of tailor-made financial products based on local demand. The second RBI initiative was their recent Outreach Program to commemorate their Platinum Jubilee Year. Designed around Governor Dr. D Subbarao’s Zero Finance Inclusion System, the program had inputs from all four Deputy Governors, Shyamala Gopinath, Usha Thorat, Dr. KC Chakrabarty, and Dr. Subir Gokarn. The program has placed a new target for commercial banks that all villages with over 2000 people should get access to financial services by March 2010. Carefully selected and authorized NGOs would be allowed to assist banks in achieving this target. The critical backbone of this initiative would be cutting-edge technologies like mobile banking and biometric identification. If RBI succeeds in these two initiatives, it would lend some credence to the tall claims of economic liberalization and the telecom / IT revolutions. Then and only then can we take the first step together, as one billion empowered people. Because for all our optimism, there is a deep chasm between the developed and developing worlds, and that chasm is the financial security of a country’s people. And financial inclusion is the first step towards financial security. HDFC Move Too Little, Too Late Against SBI & ICICI? HDFC Ltd, India's largest home loan provider, and the key promoter of HDFC Bank, has done something to counter SBI, but it might prove to be too little, too late. The dual rate home loan scheme comes with a fixed rate of 8.25 per cent till March 31, 2012 for a 20 year loan of 30 lakh for new customers who apply till January 31. Though 0.25% above SBI's during the first year, the scheme is comparable to SBI's when taking into account the first three years. But it is still inferior in its 0.5% processing fee against SBI's nil charges. HDFC Bank always had to be content with the No.3 position, behind SBI and ICICI Bank. But the solace was always that it could lead in two retail segments – home and auto loans. But now, even that edge is showing signs of distress. While SBI has recently caught up with HDFC Bank in both home and auto loan growth, ICICI Bank has also made a dramatic comeback. To counter, HDFC Bank is relying more and more on growing their overall retail loan business, instead of trying to grow their corporate loans, where the competition is even tougher with the likes of PNB & BoB, apart from SBI & ICICI Bank. The bank’s over reliance on retail segments like credit cards is troubling, and as Pralay Mondal, their Country Head for Retail & Credit Cards had recently put it, the delinquency for the credit card industry as a whole is at 30-35%. HDFC Bank’s key problems are its highly pressured workforce and the private bank’s too selective, too restrictive home loan policies that pre-empt a significant percentage of homebuyers from a life-critical home loan. 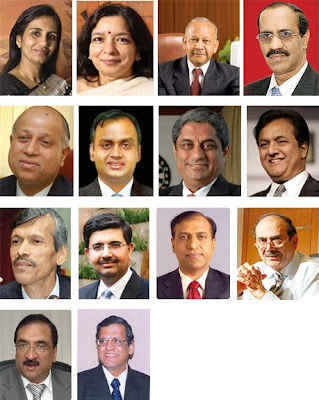 Will Bank of India Take Over Oriental Bank of Commerce? With its second quarter results out, speculations that Oriental Bank of Commerce might be fit for a takeover have gathered wind. OBC went back on its good first quarter results of 46% growth by registering only 18.63% growth in net profit during the quarter ended September 2009. The bank’s total business growth during H1 of this year stands at 24%. Making this mid-sized bank more attractive for a takeover is the fact that OBC is in urgent need for Rs. 1000 crore as capital support from the Government. Though Chairman & Managing Director TY Prabhu has claimed that it is for branch expansion, shoring up Oriental Bank’s Capital Adequacy Ratio (CAR) should also be a prime reason. But plagued with such never ending requests from several public sector banks (PSBs), the Government has recently made it clear that it may not be able to meet the entire demand. That leaves only a few options before such PSBs, one among which is allowing a takeover by a bigger PSB. Speculations are on that Mumbai headquartered Bank of India is eyeing Oriental Bank of Commerce for a takeover. Such a move has got some other rationale too, as BoI’s is heavily West focused while OBC is heavily North focused. But, in any case, such a move is unlikely to be met favourably with the senior to middle level managers in OBC. Oriental Bank of Commerce is a full service bank, featuring anytime anywhere banking that addresses retail, corporate, & industrial clients using the latest in technologies like core banking, internet, mobile, & ATMs. CMD TY Prabhu is a Canara Bank veteran, who joined OBC recently after a successful tenure with Union Bank of India as its Executive Director. Oriental Bank of Commerce has always been in the forefront of social initiatives, be it participation in the national pension plan or poverty alleviation for the BPL classes. The bank is also on a major expansion drive with a new recruitment drive being announced. OBC’s innovative bancassurance model – but partnered with two banks itself, HSBC and Canara Bank – has already become the fastest grower in the life insurance sector. However, if the takeover by Bank of India materializes, it will fly in the face of the OBC management’s plans to increase branch strength by 200 new branches and a targeted business mix of Rs. 2,00,000 crore by the year end. Kotak Mahindra Thrives on Risk? Kotak Mahindra Bank led Kotak Mahindra Group is one financial conglomerate that seems to thrive on risk. Group entity Kotak Securities had recently played whistleblower in exposing accounting holes in both Reliance ADAG and Reliance Industries. But as and when the Ambani brothers bury their hatchets, a headache can break out for Kotak Mahindra. 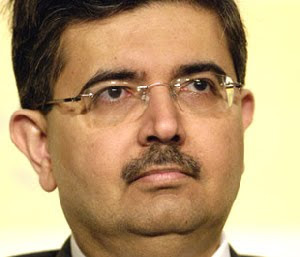 But for all his team’s research capabilities, Uday Kotak couldn’t sense what was in store in Dubai. Kotak Mahindra Bank opened their representative office in Dubai two weeks back. The timing couldn’t have been worse. A week later, Dubai World’s $60 billion hole surfaced, with the potential to sink Dubai with it. But risk is nothing new to Kotak Mahindra. The Group already has exposure in Dubai through businesses like insurance policies, offshore mutual funds, broking revenues, and other investments. This once non-banking financial company (NBFC) – or private financier – turned bank thrives on high risk. It specializes in acquiring stressed assets from other banks, unsecured loans, sensitive sector lending, and aggressive contrarian strategies like shunning loan restructuring against NPAs. Uday Kotak has ambitiously built this 18,000 people empire, resorting to corporate moves like courting powerful names like the Mahindras and Goldman Sachs, and later deciding to go it alone. Will IndusInd Ever Catch Up With ICICI, HDFC, & Axis? SBT: Of Keralites, By Keralites, But Not For Keralites? ICICI Bank's Real Turnaround Still Away? Andhra Bank Facing Unique Problems? Reliance ADAG IPOs Coming: Will Markets Soar or Crash? Can Bank of India Balance Growth and Profitability? How will United Bank of India Fare This Year? Anil Ambani Eyeing Dhanalakshmi Bank? Why is Axis Bank a Distant Third Against ICICI & HDFC? Can Indian Bank Sustain the Turnaround? Will Indian Overseas Bank Get Stronger Soon? Can PNB Take on ICICI Bank, SBI? Can Vijaya Bank Build Upon the Turnaround? Has Union Bank’s ICICI-Like Strategies Worked? Will India Become a Superpower?